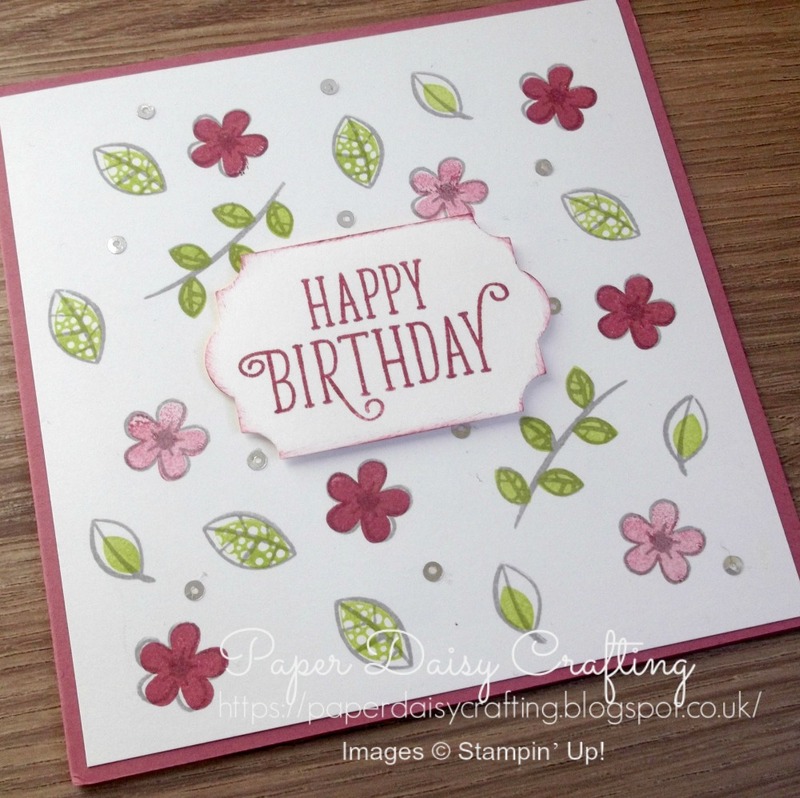 Today I am taking part in our monthly Pootlers team Birthday Blog Hop. 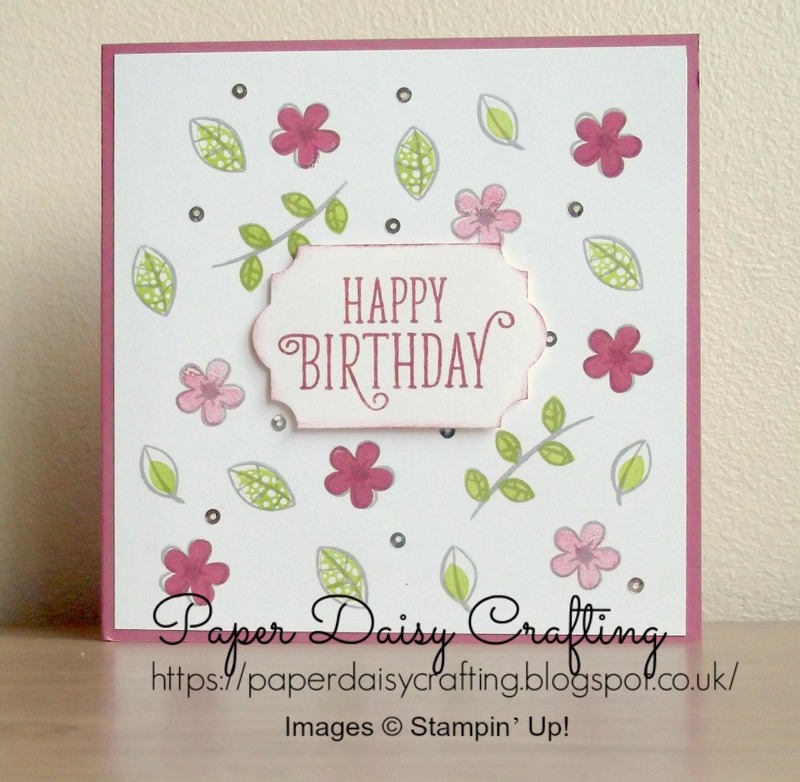 Every month, we have the chance to showcase a birthday card we have sent to someone special. My card this month was one I made for a special friend, and I then went on to use the design in a card class. This is a very simple little card using the lovely "Happy Birthday Gorgeous" stamp set. I love this set - so versatile - so many possibilities. And I just love the font used for the greetings. I have used just three colours of ink to stamp this card. All the outlines were stamped in Smoky Slate, the leaves in Lemon Lime Twist and the flowers in Sweet Sugarplum. I have "stamped off" some of the flowers to give that lighter effect. Oh and once again I've used the Everyday Label Punch for the sentiment panel. There's a little bit of sponging around the edges to make it "pop"! 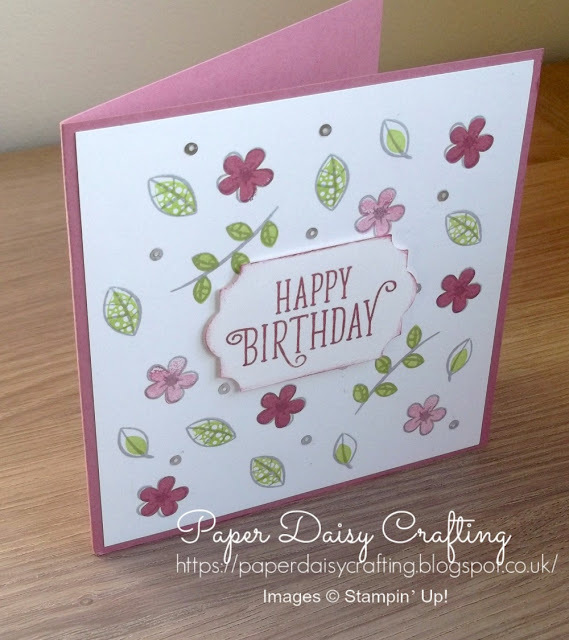 To see my video tutorial of how I made my card just click on the link HERE or the image below. Hope you like my project today - please hop around to all the others who are participating in the blog. There are some lovely projects for you to see from some very talented designers.